Our Summer 2018 Release has a variety of new features and improvements that allow you to get the most out of Incident IQ. Check out some of the new features below. 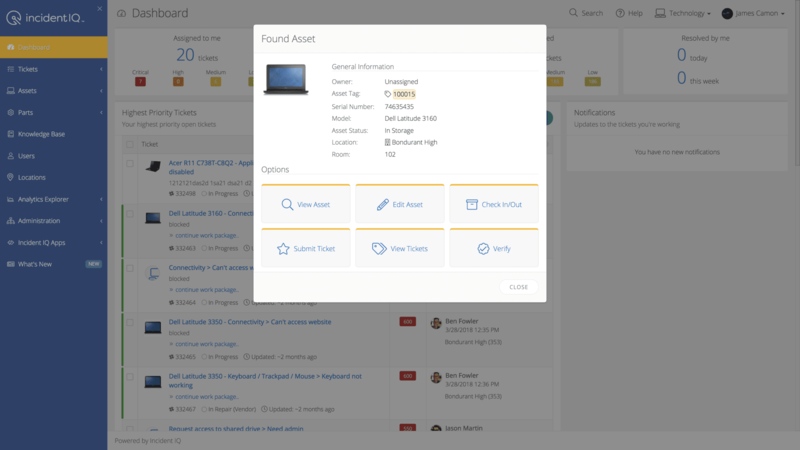 Asset Management has been updated to include a number of frequently-requested features, like improved device storage tracking, enhanced custom fields for tailored asset information, and batch actions, which allow users to quickly modify groups of assets at once. 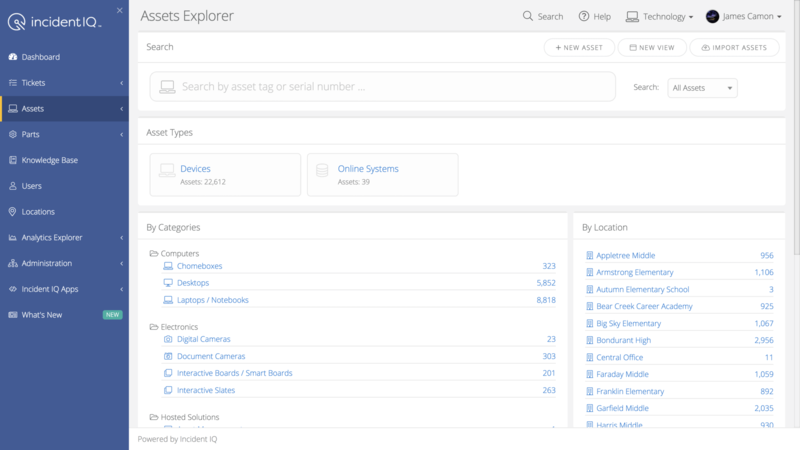 We’ve also released the all-new Assets Explorer, which displays asset types, categories, locations, and asset search, all from a single screen. Incident IQ is thrilled to announce the release of Asset Management Pro—a suite of features designed to help districts go even further with managing large deployments of student devices and classroom technology. Asset Management Pro includes advanced device auditing tools, asset linking, Rapid Scan device lookup, custom model capabilities, and so much more. As a companion to Asset Management Pro, the improved Incident IQ Mobile app brings many of the same powerful asset management features to your mobile device. With the mobile version of Rapid Scan, users can now use the microphone or camera on their device to quickly search for assets—no keystrokes necessary. 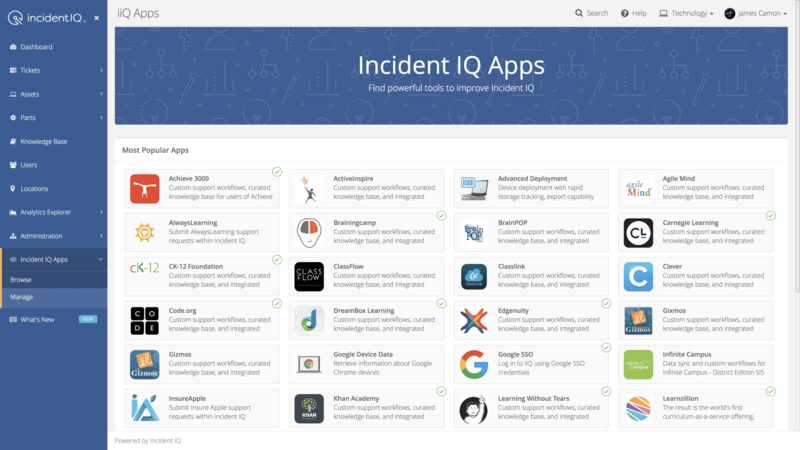 Incident IQ’s new Apps Architecture enables a host of new apps & integrations that support leading SIS, LMS, and learning applications used by school districts nationwide. Pre-populated Knowledge Base articles automatically suggest solutions to frequently encountered issues, custom ticket workflows provide app-specific issue types and resolution actions, while support widgets enable quick access to additional support from the developers of apps that districts rely on.